This photo is a small glimpse at the Dreams Spa by Pevonia at Dreams Riviera Cancun. The spa will feature treatment rooms that create a relaxing environment in which guests can enjoy various massages, body treatments, facials, manicures, pedicures, hydrotherapy and indigenous spa treatments. The spa will also have a boutique that will offer the finest skin care products such as Germaine de Capuccini and Pevonia. 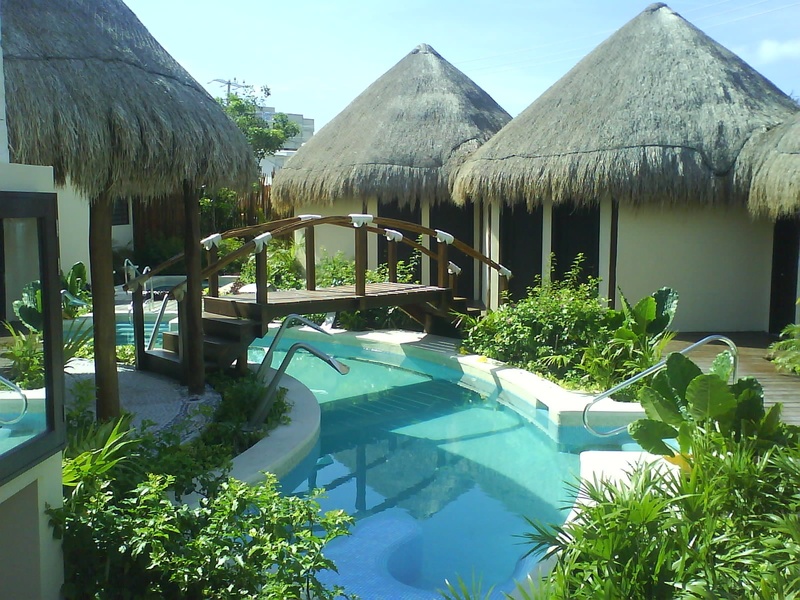 Can you picture yourself on a relaxing vacation at Dreams Riviera Cancun yet? This entry was posted in Dreams Riviera Cancun and tagged Countdown to Opening. Bookmark the permalink. I would love to see the “Palm Lined” Beach & the beautiful water as described on-line and in the “Dreams” promotion brochures….also can you show the inclusive hobie cats for fun sailing? We really are beach people and have our trip planned for 1st week in November! Please send more BEACH PHOTOS!!!!!!!!! THANKS! Please send more beach and water photos! Thanks! We will be there for Halloween! Hi Bev, we will be there on Nov 7th. hope the place is as great as we expect.